Rev. Dr. Paul T. Echtenkamp became the Pastor of GCIC in June 2013 after many years of faithful service as assistant to the late Bishop Raul Gonzalez. Dr. Paul is a founding member of GCIC and served for many years as Senior Elder and Secretary/Treasurer of the Board of Elders. Dr. Paul came to Hartford in 1978 to join the staff of the Youth Challenge, a program to help people adversely affected by drug-addiction and other life-controlling problems. He has been an integral part of that ministry's growth and success, previously serving as Men's Home Director and Executive Director. He is the current President of the Board of Directors of YC CT.
Dr. Paul is a graduate of Amherst College and Evangelical Theological Seminary. He also holds an Honorary Doctorate of Human Letters from Biblical Life College and Seminary and a Master of Science degree in Counselor Education with a concentration in Clinical Professional Counseling from Central Connecticut State University. In addition, he is an Ordained Minister with Youth Challenge International (YCI). As current President of the Board of Directors of YCI, he oversees and advises Youth Challenge ministries and churches in Connecticut and Puerto Rico and in the nations of Guatemala, Venezuela, the Dominican Republic and Kenya. He also serves as Chaplain with the Hartford Police Department. Pastor Paul has ministered extensively in the inner city, especially to those facing challenges such as addiction and income disparities. He has a passion for reaching the lost with the Gospel of Jesus Christ and for empowering those who have been changed by God to in turn reach others for the Kingdom. 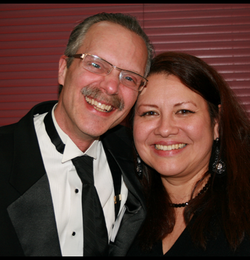 Pastor Paul and his wife Vilma are the grateful parents of three children, David, Eliana and Joanna.